I did it! I followed through with my August challenge and read one of the many titles lingering on my To-Read shelf. Loved, loved, loved The Flying Troutmans by Miriam Toews! So now I’m ready to tackle another title for September. Each month I will choose a few from the middle or bottom of the list (meaning they’ve been sitting and waiting patiently for over a year), determined to read at least one per month. If I can read even more than one, all the better. Any advice or guidance you can offer would be much appreciated. My September is actually off to a good oldie start, as I’m deep in The Stone Diaries, which I’ve wanted to read ever since discovering Carol Shields through Unless. Many thanks to Chels & a Book, It’s All About Books and Books & Cleverness for their never-ending inspiration. 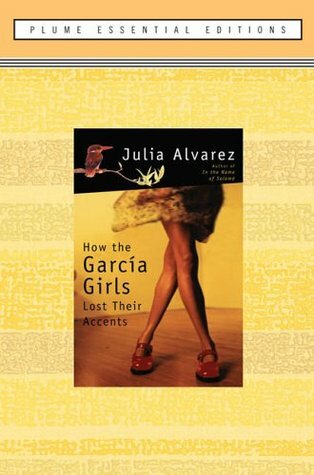 How the Garcia Girls Lost Their Accents by Julia Alvarez. Added to my shelf June, 2011 (published in 1991). Alvarez is one of those authors I know I should have read but haven’t. Not sure why…it’s just never come to pass. I’m also not sure if I should start with this one or with In the Time of the Butterflies (also on my bookshelf). Goodreads describes it: Uprooted from their family home in the Dominican Republic, the four Garcia sisters – Carla, Sandra, Yolanda, and Sofia – arrive in New York City in 1960 to find a life far different from the genteel existence of maids, manicures, and extended family they left behind. What they have lost – and what they find – is revealed in the fifteen interconnected stories that make up this exquisite novel from one of the premier novelists of our time. 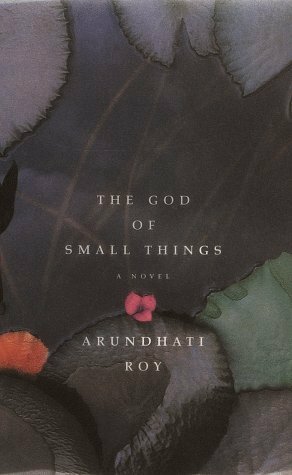 The God of Small Things by Arundhati Roy. Added to my shelf August, 2011 (published in 1997). Everyone, and I mean everyone, assumes I have already read this modern classic, but I have not. I need to. Goodreads describes it: The year is 1969. In the state of Kerala, on the southernmost tip of India, fraternal twins Esthappen and Rahel fashion a childhood for themselves in the shade of the wreck that is their family. Their lonely, lovely mother, Ammu, (who loves by night the man her children love by day), fled an abusive marriage to live with their blind grandmother, Mammachi (who plays Handel on her violin), their beloved uncle Chacko (Rhodes scholar, pickle baron, radical Marxist, bottom-pincher), and their enemy, Baby Kochamma (ex-nun and incumbent grandaunt). When Chacko’s English ex-wife brings their daughter for a Christmas visit, the twins learn that Things Can Change in a Day. That lives can twist into new, ugly shapes, even cease forever, beside their river…. 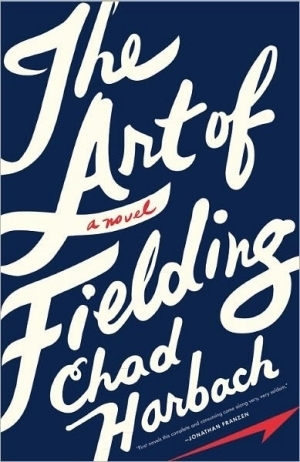 The Art of Fielding by Chad Harbach. Added to my shelf in September, 2011 (published in 2011). I love baseball. I love good writing. This seems like a natural. Goodreads describes it: At Westish College, a small school on the shore of Lake Michigan, baseball star Henry Skrimshander seems destined for big league stardom. But when a routine throw goes disastrously off course, the fates of five people are upended…Written with boundless intelligence and filled with the tenderness of youth, The Art of Fielding is an expansive, warmhearted novel about ambition and its limits, about family and friendship and love, and about commitment—to oneself and to others. Any advice about what I should choose for September? Annual Easter morning photo shoot with Mima.